James Woodard Schoeld was born January 28, 1935, in Forest City, Iowa, to Edmund A. Schoeld and May Katherine Woodard Schoeld, joining an older brother Allan. His father was chemistry professor and Dean of Waldorf College, and his mother was an organist and choir director. A sister Katherine was born 3 years later. Jim began his schooling in Iowa, but when he 7, his father took a position as Chief Chemist for the Potash Company of America, a war-time industry, and the family moved to the mine location 23 miles from Carlsbad, NM. They lived at the mine for a couple of years but then moved into town to be closer to the school. 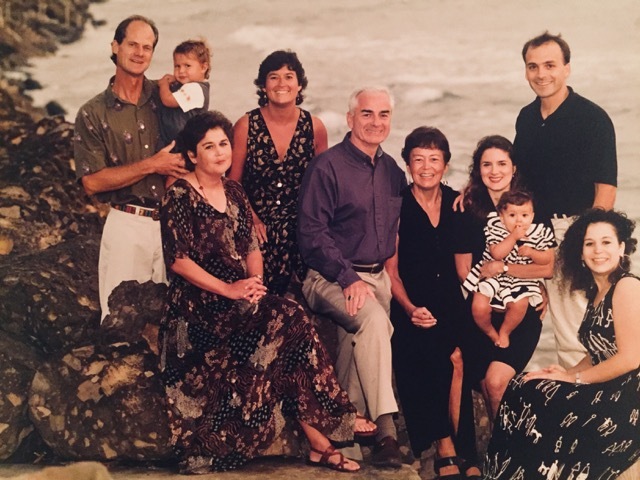 The family was active in the life of Carlsbad, both in school and in community. Jim joined boy scouts and eventually became an Eagle Scout. His scout troop specialized in learning Native American dances and performed exhibitions throughout the state. In junior high school he participated in a square dancing club that also did state-wide performances. He played clarinet in band, studied piano, and was an acrobatic cheerleader (to the absolute displeasure of his mother). He also played in a ukulele trio that performed at high school functions regularly, and he also was a member of the National Honor Society. When Jim was 10 and his brother 13, their father gave them the summer task of building a garage with a guest room and bathroom attached. Each night the father would tell them what their next steps should be, and the boys would spend the day building until the project was completed. This is a structure still being used today. Jim graduated from high school in 1953. Following Jim’s senior year in high school, he began working summer jobs in the mine, jobs which continued throughout his college summers. He worked surveying with the engineers and also worked in the machinists’ department. Jim began St. Olaf College the fall of 1953. He played in the college band his freshman year and was on the crack drill squad in ROTC. After one year he transferred to Texas Tech in Lubbock, TX where he joined Sigma Alpha Epsilon. He also played in ROTC band and sang in a men’s chorus. After 1 1/2 years at Texas Tech, his father demanded, and arranged, for his imminent return to St. Olaf College. Jim entertained multiple majors and after eventually picking one of many options, graduated in 1958 with an Economics major. During his senior year, he met and dated Rachel Almlie. The summer after he graduated from St. Olaf, he spent at Lutsen, MN with Dr. Arne Flaten, art professor at St. Olaf, and a group of other students in excavation and stone work, beginning the building of a Lutheran Church there. This time was formative in Jim’s life, as each morning was spent in Bible Study before the building work began. 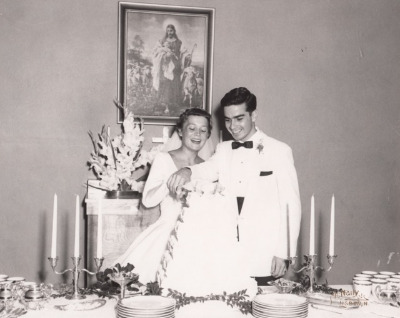 Following his wedding to Rachel, August 3, 1958 in Lisbon ND, Jim began Luther Theological Seminary. During his years at Luther he worked part-time as an orderly at Fairview Hospital, working in the Rehab Department. He spent one year as an intern pastor at Our Savior’s Lutheran in Great Falls, MT. Jim was ordained in June 1962, and his first call was to First Lutheran Church of Circle, MT. This parish of 600 also included two other churches, Deer Creek 40 miles east and Immanuel 20 miles north. In Circle two children, Kristi and Karen were born. Jim was known for his excellent work with youth, and the youth group there had 50 members. Jim and Rachel participated in cattle drives and brandings, and he learned valuable life lessons from the ranchers in this community that enraptured his children in the retelling (ask them, they are happy to share). In 1966 Jim accepted a call to Trinity Lutheran of Carrington, ND. This congregation of 800 had no other staff when he arrived, but during his tenure a secretary and intern pastors were added. While in Carrington, Jim also served as District Youth Committee Chairman. A large youth group of over thirty teenagers met weekly, and he led many hootenannies with his guitar. Two more children, David and Susan, were born in Carrington. In 1974 Jim accepted a call to First Lutheran of Albert Lea, MN, a congregation of over 4,000 members, and he was one of four pastors on staff. A year later he became senior pastor. The worship services were telecast over a five-state area. He was also active in service clubs, community theatre, community choir, and was chairman of the Freeborn County Freedom Fest. His congregation served as the pilot program for the Prepare Enrich wedding preparation program, and Jim became one of the first pastors to lead workshops for the clergy and counselors in the use of that program. The family then moved to Seattle to accept a call from Bethel Lutheran of Shoreline, WA. Jim was pastor at Bethel for almost 15 years before retiring in 2001. During his years there, he was active in synod and community affairs, serving on many committees and boards, including being president of the Shoreline Rotary Club. 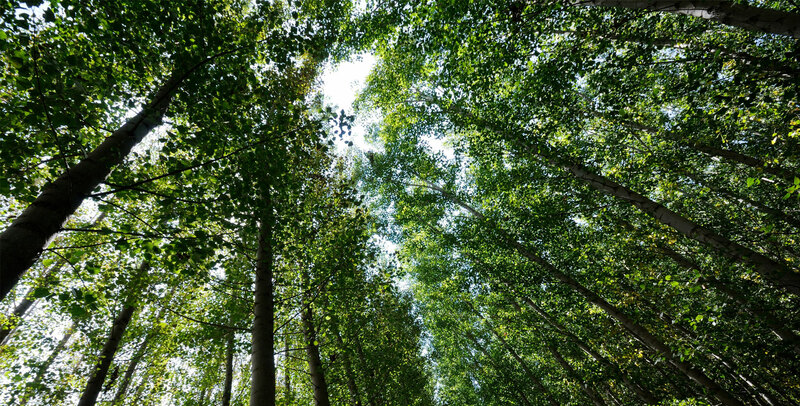 Jim and Rachel were also able to go on a six-month sabbatical, including a guided tour of the “Journeys of Paul” in Turkey, with a side trip to Greece. 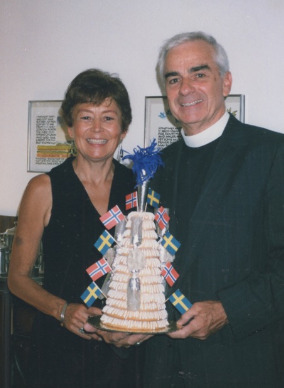 They also spent a week at Taize in France, and took a long and winding road trip through Europe, where they made sure to visit the homelands of Norway and Sweden. Throughout his life Jim was involved with music, theater, and youth, and was active in biking, swimming, backpacking, and hiking. A month after retirement Jim and Rachel had an auto accident which left him with quadriplegia, from which he reinvented himself in ways that allowed him to live the life he wanted. He continued to stay active in ministry, serving in two parishes as interim pastor and supply preaching in many churches throughout the synod. 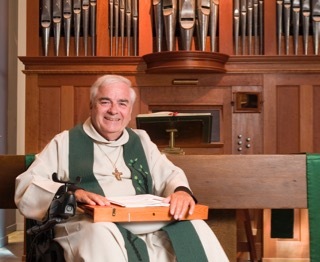 He also served on the synod council, on a rehab committee at the University of Washington Medical Center and on the Continuing Pastoral Education Committee at Harborview, as well as on the boards of The Hearthstone assisted living community and the Darrell Turner Family YMCA. He also continued his engagement in Rotary, and became a beloved volunteer tutor at Parkwood Elementary School for the last 10 years. Jim performed hundreds of weddings, including those of two of his daughters and his son. He also baptized four of his grandchildren, including one in the Boiling River at Yellowstone National Park. 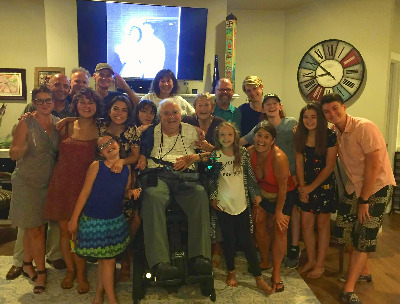 This past August Jim and Rachel celebrated their 60th anniversary, bringing together a grand array of friends and family. Jim was an extrovert, and he most enjoyed being with people, especially his family. He could never remember a book or movie plot, but if you asked him stories about the people he knew, he remembered them all in loving detail. Jim was preceded in death by his parents and his brother Allan. 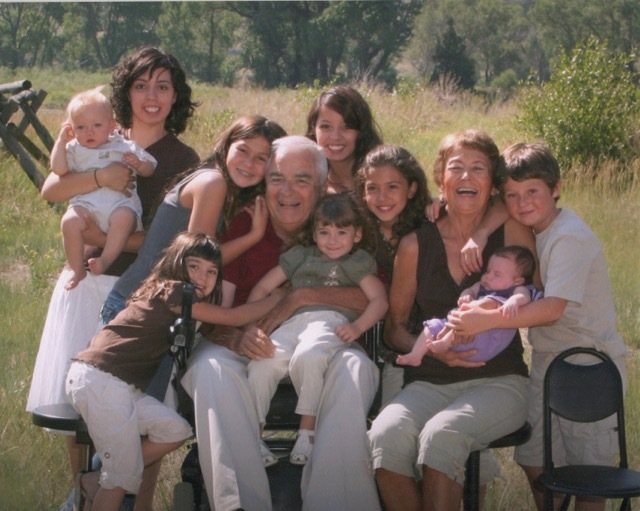 He is survived by his wife Rachel, four children, nine grandchildren and two great grandchildren: Kristi Schoeld (Neil Jorgensen) with daughter Marin and son Sikeli Jorgensen; Karen Schoeld; David Schoeld (Nyla) with daughters Kaija, Anya, Noelle, and Sophie Schoeld; Susan Schoeld (Steven Ball) with daughters Sabina Schoeld, Ashley Ball (Matt Watson) and Jessica Hawtree (Adrian Hawtree); and great grandchildren, Marlo and Nina Watson. He is also survived by a sister Katherine Gunning; two brothers-in-law, John Almlie(Sandra), and David Almlie (Marilyn). Surviving also are a host of beloved nieces and nephews. A great man, a great wife and a great family who give, love, help and celebrate the memories of a meaningful and well lived life! Rest in peace Jim! God's richest blessings and peace to the Schoeld family! Jim had a major impact on my life and my ministry. Working with Jim on the Hearthstone Board was a real pleasure. I will miss seeing him here from time to time. Pastor Schoeld was the pastor in Carrington during my junior high & high school years and was a huge influence on all of the youth in our church! We were fortunate to have him marry us 45 years ago & I have thought of him often over the years. Condolences to his family at the loss of a great man! Jim set such a fine example of kindness and love for us all to look up to. He will always be remembered and missed.